Whether you want to relax by the pool, explore a famous city, or de-stress surrounded by mountain views, spring is a wonderful time to get away with kids. Some of the best family-friendly destinations offer a diverse choice of things to do for all ages. Things to consider when choosing where to go include activities for kids, the climate, dining options, room size and layout. Activities for grown-ups such as rejuvenating spa treatments, relaxing yoga classes, horseback riding and golf are a wonderful way to unwind while kids participate in age-appropriate programs. The Resort at Pelican Hill in Newport Beach, Southern California has great facilities for younger guests, including a clubhouse, pool, bubble jet fountain and sand areas. Camp Pelican facilities overlook the ocean, offering a natural and calm setting for kids. At the clubhouse, children have access to art tables, computers, plasma tvs, ping pong and an outdoor patio with tables. While young ones are busy at the camp, grown-ups can play 36 holes of golf, visit the spa and enjoy 500 scenic acres the hotel is set on. There is a diverse range of accommodations to choose from, depending on the size of you family. Bungalows all feature private ocean-view terraces and at least 847 square feet of living area (from $695/night). Families can also book one of the 128 villas which range in size from two to four bedrooms (from $1,450/night). 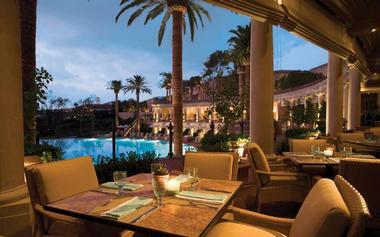 Read more about The Resort at Pelican Hill. More vacation ideas: 17 Best Things to Do in Orlando. Rolling green meadows, blue skies and rugged mountains surround C Lazy U Guest Ranch, an authentic dude ranch in Colorado that has been welcoming guests for nearly 100 years. Celebrated the world over for its rustic elegance, rich heritage, world-class cuisine, and signature service, the ranch is an ideal getaway for the whole family. Scattered around the ranch for privacy, a variety of accommodation options are offered within walking distance of the main lodge. Located in two of Portland’s most historic downtown buildings, the Sentinel Hotel reflects historical grace, Italian Renaissance elegance and classic old-world charm. 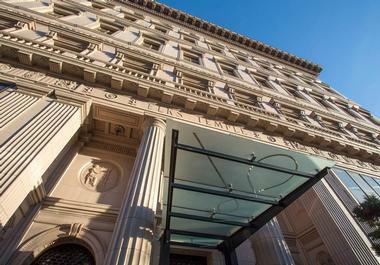 The hotel’s long and rich history is evident in its beautifully preserved architecture and grand interiors. Meticulously appointed guest rooms and suites are luxurious havens of contemporary elegance, boasting beautiful décor and the latest technology for comfort and convenience, such as iPod docking stations, in-room Portland Roasting Coffee and Steven Smith Tea, and deluxe bath amenities. Elegance abounds in the deep walnut furniture, pale ivory leather-clad headboards and hand tufted rugs, while panoramic views can be soaked up from large windows. Join the locals at the traditional Jake’s Grill, one of Portland’s quintessential dining spots, which serves some of the best steak and seafood in town, and offers an extensive cocktail and whiskey menu. Have pre-drinks in the exquisitely elegant Jackknife Bar whose dark wood and leather interior will have you journeying back in time. Guests have access to a private fitness center and a range of services can arranged on request, including 24-hour room service, pillow and spiritual menus and hand-delivered Portland ice cream which is always popular with kids. The hotel is within close proximity to the famous Pearl District and Waterfront. Rooms start at $323 per night. The Wild West takes on a contemporary-chic twist in this modern, stylish hotel that offers superb accommodations, warm, welcoming hospitality and breathtaking views. Located in the heart of Teton Village near Grand Teton National Park, Hotel Terra is an ideal place for a tranquil escape from the city. Elegantly designed guest rooms and suites reflect the beautiful mountain surroundings with rich décor in natural tones, rich leather finishes and smooth wooden paneling. King- or queen-sized beds promise absolute comfort, while modern amenities such as flat screen televisions, mini fridges, coffee makers and iPod docking stations avail. Dine on mouth-watering wood-fired pizza and other delicious Italian fare on the outdoor terrace at Il Villaggio Osteria, or soak up lovely views through floor-to-ceiling windows over light meals and snacks at Café Terrace. Relax by the crackling fire with a glass of wine at the Lobby Lounge or enjoy a private meal in the comfort of your suite. Rooms start at $161per night. Located in the heart of one of America’s most popular coastal towns, Hampton Inn Santa Cruz is a comfortable and convenient hotel ideally situated for exploring this vibrant and energetic part of California. Well-appointed guestrooms are available in a range of sizes and offer spacious en-suite bathrooms, chic décor, cable/satellite TV with premium channels and complimentary high-speed Internet access. Enjoy a range of deluxe facilities during your stay, from a complimentary hot buffet breakfast to the use of the indoor swimming pool and nearby fitness center. A DVD library is available for rent from the front desk, and a 24-hour concierge service is on hand to cater for every need, from transport arrangement to restaurant reservations. Santa Cruz offers a plethora of things to see and do, from beautiful beaches where you can swim, surf and have fun in the sun, to the Santa Cruz Beach Boardwalk, Capitola Village and the Natural Bridges State Park, to name but a few. Rooms start at $159 per night. Take the family out the Yellowstone National Park and see the geysers, buffalo, bears and the Old Faithful Geyser. The 325 room Old Faithful Inn was built in 1904 and was designated a National Historic Landmark in 1987. The hotel is right next to the Old Faithful Geyser and the Upper Geyser Basin. 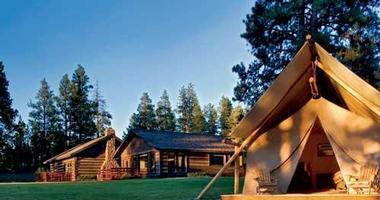 Its central location makes it an ideal base for exploring the rest of the natural wonders of Yellowstone. Plan on spending the lunch hours resting in a cool spot so you can avoid the heat and the tour buses that stop at the inn each afternoon. 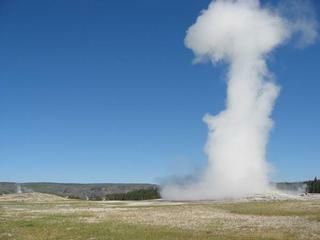 Watch the Old Faithful erupt in the early morning or early evening and you will have it to yourself. Park visitors not staying in the park arrive late and leave early because the drive out is about two and a half hours. Rooms at the Old Faithful Inn start at around $96. 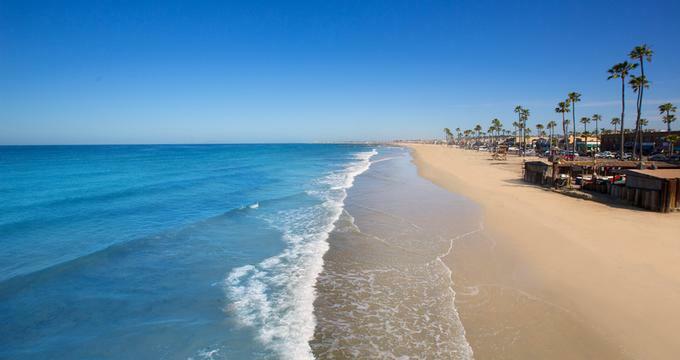 Head to the Phoenician to sit by one of the nine heated pools, play tennis, a round of golf and, when the kids are off at the Funicians Club, get a massage at the Centre for Well-Being Spa. 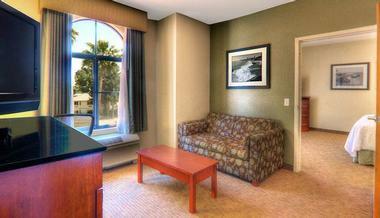 Stay in one of the resorts 474 guest rooms, 119 casitas, or 57 luxury suites. The seven restaurants at the resort make feeding the family easy. The Funicians Kids Club and offers different supervised activities for kids 365 days a year. Kids club activities include sand castle building, parachute play, hiking scavenger hunts and puppet shows. The Phoenician has introduced a yoga and meditation program for families at its wellness center. The program is designed to allow parents and children to bond and relax together on vacation. Guests can choose from three different sessons: Family Yoga, Family Meditation or Family Meditation Walking Tours. The 45-minute yoga session promotes concentration and relaxation. It is held in in of the outdoor private garden retreats featuring waterfalls, trees or cactus gardens as a backdrop. Meditation Atrium at the spa is the setting for Family Meditation sessions, while walking tours take resort guests into the surrounding desert. Family Yoga and Family Meditation programs are offered seasonally and are complimentary with the adult spa fee. Rates at the Phoenician start at $199. Spring is high season in Maui but this tropical island offers some of the best climate on the planet. 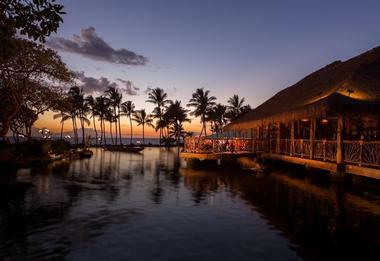 The recently renovated Grand Wailea Resort Hotel and Spa is a beautiful family vacation destination set on 40 acres complete with beaches, golf courses, spa, dive center and a choice of diverse accommodation layouts. Camp Grande, designed especially for kids, features an outside play area, a children's restaurant craft room, theater, game room and a computer room. Both kids and grown-ups can take full advantage of the warm tropical climate by heading to the beach or one of the resort pools complete with water slides and a water elevator. Scheduled activities for kids include Ukulele lessons and Lei making. Read more about Grand Wailea Resort. 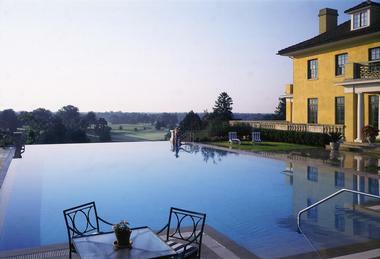 The 600-acre Keswick Hall near Charlottesville provides relaxation and great golf in a historic setting. This is a great weekend getaway from Washington DC. Play golf on the eighteen holesignature course or tour nearby historic sites and local vineyards. The resort features an Olympic-size pool and a children's pool, both surrounded by surrounded by expansive terraces and gardens. In the Clubhouse, the heated indoor-outdoor pool with Jacuzzi allows for year round exercise and relaxation. 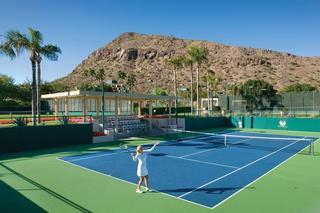 Guests can play tennis on one of the five courts lighted for nighttime competition on their weekend trip with the family. Each of the forty-eight spacious bedrooms is individually furnished and has its own character. The rooms feature English and early American antiques, porcelain and original works of art. For guests interested in nearby historic attractions, tours can be arranged, including trips to Thomas Jefferson's historic Monticello, Montpelier, historic Charlottesville, and others. Spring is a great time for blooming flowers, and fall for foliage. Major airlines serve the Charlottesville Albemarle Airport. Consider renting a car, which will allow greater mobility during your weekend trip. 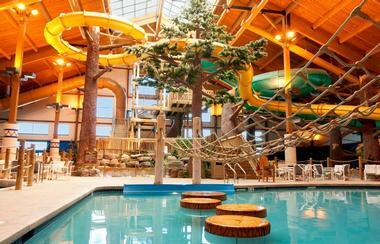 The resort is approximately 2.5 hours from Washington DC, which makes it an ideal weekend getaway. Located near Asheville, North Carolina, Grove Park Inn is a family weekend getaway offering several children's programs and numerous vacation activities for adults. Children ages 4-12 enjoy supervised activities such as arts and crafts, swimming, lawn games and nature hikes. In the meantime, you can get pampered at the 40,000 square foot spa, play golf or tennis, and lounge next to the swimming pools. Look for special family packages in the spring. Resting on the crescent-shaped shores of Oahu, Outrigger Reef on the Beach exudes luxurious, island-style living with superb oceanfront accommodation, delicious local cuisine, and magnificent views of palm-lined beaches and cobalt seas. Designed to complement the unspoiled tropical surroundings, elegant guestrooms, suites or residential-style villas feature contemporary, beach house-chic décor that creates a relaxed and luxuriously laid-back island-living feel. Modern amenities abound, while creamy, natural tones with touches of blues echo the miles of pristine white sands and azure blue sea. Savor fresh island cuisine at a range of elegant restaurants. Head to the poolside Kani Ka Pila Grille for delicious pupus (hors d'oeuvres), sublime cocktails and vibrant island music; grill your own steak or fresh fish at Shore Bird Restaurant & Beach Bar, or try the Ocean House for sundowners. Explore underwater kingdoms as you snorkel or dive with a variety of amazing marine species or try your hand at deep-sea fishing in the waters off the island. Kayak along sun-kissed shores of Waikiki beach or take a stroll along the white sands as you watch the sun sink below the horizon. Rooms start at $199 per night. Browse more great family resorts in Hawaii. 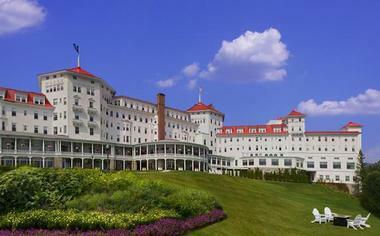 The Omni Mount Washington Resort in Bretton Woods, New Hampshire, offers a great variety of vacation activities for grown-ups and kids alike. The Mount Washington Kids Camp offers supervised activities for kids ages 5 to 12, including arts and crafts, outdoor games, swimming, hiking, tennis clinics and excursions. Full-day, half-day and evening programs available, providing you with maximum flexibility. Kids can swim in the heated indoor and outdoor pools, try the Princess Package in The Spa, and roast s'mores next to the outdoor firepit. 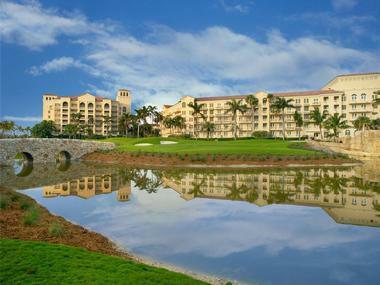 Turnberry Isle Miami in Florida offers a kids' club, private Ocean Club and a pool area. While kids are busy with their own activities, take advantage of the beautiful 25,000 square foot spa and fitness center, two golf courses, a three-mile scenic jogging path, beauty salon, shops and boutiques. 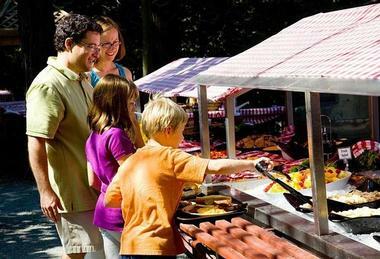 The resort restaurants offer kid-friendly eats while a range of room and suite options lets you choose the perfect layout for your family's needs. 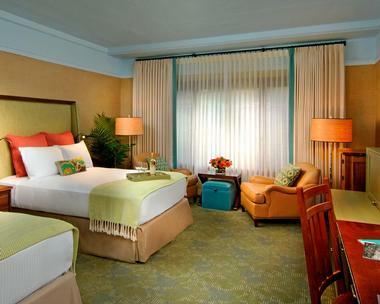 Rooms feature balconies and terrace that let you enjoy warm Florida air. Take a relaxing bath in the privacy of your own room on your rejuvenating family getaway. If you are traveling with a baby, the hotel can provide baby toiletries, bed rails, bibs and accessories such as the Diaper Genie to make your stay as comfortable as possible. If you are bringing along your family pet, put in a request for a dog bowl, treats and a dog bed before you arrive. Read more. Plan a family vacation at Mohonk Mountain House in New York's Hudson Valley and enjoy vacation activities that range from ponny rides at the stables to tennis for kids, nature walks and games designed for specific age groups. 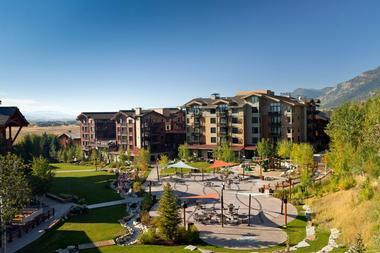 Surrounded by nature, the resort is a great year-round family vacation destination. The Mohonk Kids' Club is a complimentary program for overnight guests, offering a number of activities for guests ages 2 to 12. The program is offered on most weekends, and daily from mid-June through Labor Day. Children are divided into different age groups so that they can participate in vacation activities appropriate to their age. Find out more about Mohonk Mountain House and plan your family vacation to Hudson Valley. Plan a family adventure vacation to Montana and stay at Paws Up which offers luxury homes, cabins and tents surrounded by tens of thousands of acres of pristine wilderness. For family travelers, the resort offers a kids recreation program with activities such as nature hikes, bird watching, horseback riding lessons and ranch-hand days with the Paws Up cowboys. Paws Up has a Kid's Corral with a playground, arcade and games. Nanny services are available for babies, as well as high chairs, cribs and kids menus. If you are planning a summer family adventure vacation, you'll be able to go fly-fishing, hiking, tubing, kayaking, whitewater rafting, bird and wildlife watching, sporting clay shooting, mountain biking, and horseback riding. The resort has an outdoor swimming pool, hot tubs, fitness center and a relaxing spa. Take a cooking class, a photography lessons or listed to guest speakers such as Montana wildlife experts and local authors. The Saddle Club at Paws Up has a 23,000-squarefoot riding arena, 52-stall barn, equestrian showers, and acres of outdoor pasture. The Club offers private lessons, group rides, tours, horse care lessons and boarding of guests' horses. Florida offers many great resorts and amusement parks. Innisbrook will let you combine fun in the sun with championship golf, tennis, spa, and playtime in six swimming pools. Kids can have fun on water slides, at Camp Innisbrook, and in the dedicated children's playground. LaPlaya Beach & Golf Resort in Naples has rooms and suites overlooking the ocean. If you want to be near Orlando's amusement parks, check into the family-friendly Nickelodeon Family Suites where kids will get a chance to see their favorite cartoon characters, play on waterslides and eat at kid-friendly restaurants. Nickelodeon Suites Resort in Orlando offers a wide variety of activities for kids, dining and proximity to the area's amusement parks. Kids can have fun with SpongeBob, Dora and Cosmo, whether they are celebrating a birthday, holiday or a reunion. The property is set on 24 beautiful acres in Orlando, near the Walt Disney World, Universal Studios Orlando, SeaWorld Orlando, Wet 'n Wild, Orlando Science Center and Gatorland. The hotel has 777 Nickelodeon-themed KidSuites designed with bright colors and characters on the walls. Suite rates start at $109 per night. City vacations are becoming increasingly popular and offer many things to do. New York City has a bit of everything: unique shops, a great collection of outdoor playgrounds, Central Park Zoo, and many fabulous places to stay. The Peninsula has rooms with double-glazed windows and marble bathrooms, and a glass-enclosed swimming pool. The Ritz-Carlton New York, Central Park offers luxury rooms and suites with park views. Napili Kai on Maui is a favorite with families who want casual atmosphere and condo-style accommodations with kitchens that offer the flexibility of preparing your own meals. 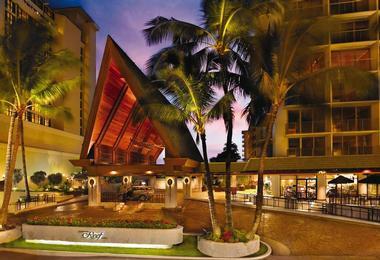 Hyatt Regency Waikiki is very close to the ocean and has kid-friendly suites, some with spectacular ocean views. Safari West in Napa Valley offers adventures that let you observe over 400 animal species in their natural habitat. Hotel del Coronado offers many family-friendly activities, including programs for kids, biking and kayaking. La Costa features pools, waterslides, and surfing lessons for kids. Vacationers have a choice of family-friendly getaways in Barbados. All-inclusive resorts such as Turtle Beach and Crystal Cove make sense for families that like to try different activities. Instead of all-inclusive packages, many getaways in Barbados give families the option of purchasing a meal plan. If you want your kids to participate in a children's program, be sure to check the schedule since many kid's clubs are seasonal. Round Hill Hotel often offers special rates to families, especially in the summer. The Tryall Club has a kid's club and private villas available for rent. Sugar Bay Resort offers all inclusive rates. The luxurious Ritz Carlton, St. Thomas has a half-mile white sandy beach and a spa.